This Galt classic pop-up toy is made of wood and has four coloured push-up faces, each face is a different colour. The faces are easy to both pop up and push back down. 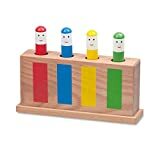 Press the colourful characters and they will bob up and down, stimulating baby's interest. 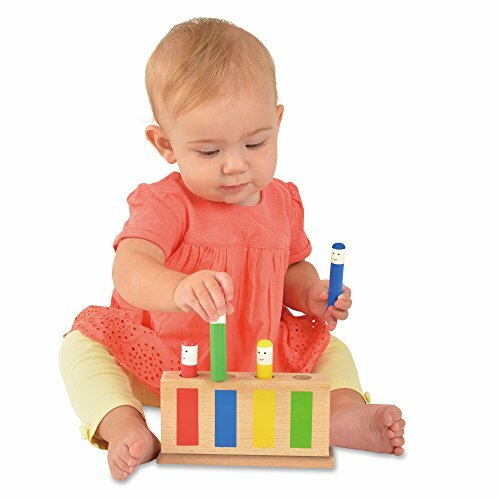 Later, baby can progress to colour matching the characters to their slots. 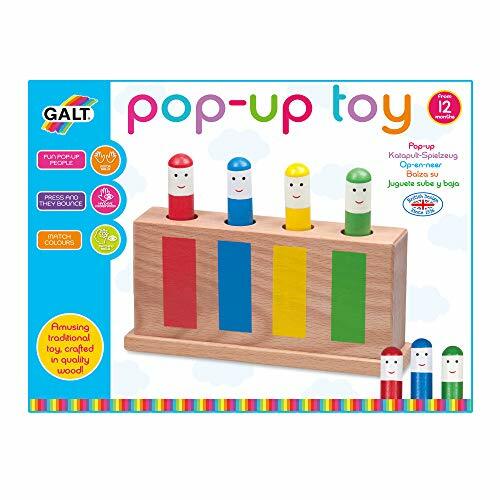 Ideal for the developing child, encouraging hand and eye co-ordination and colour recognition the Galt classic pop-up toy has wooden characters lift out and can be played with independently. It is crafted in quality wood for durability and lasting pleasure. It is suitable for ages 12 months and up.